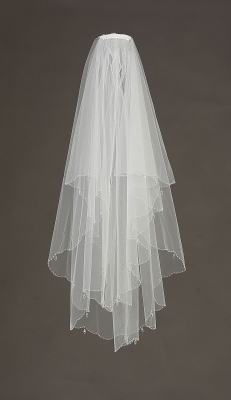 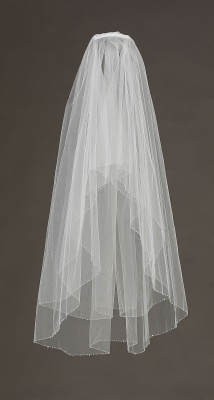 This is a gorgeous womens bridal veil made with exquisite bridal quality. 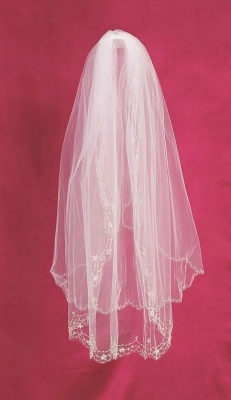 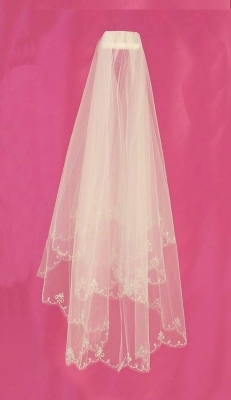 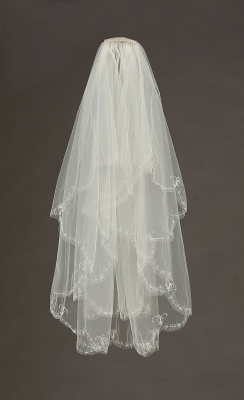 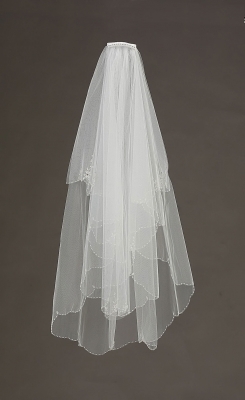 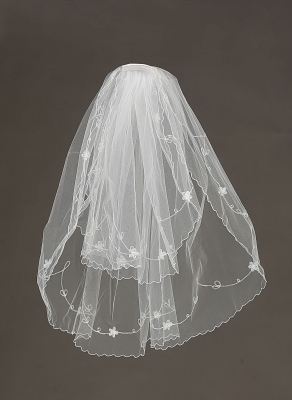 This beautiful veil is adorned with a scalloped cut floral design and lace around the edges. 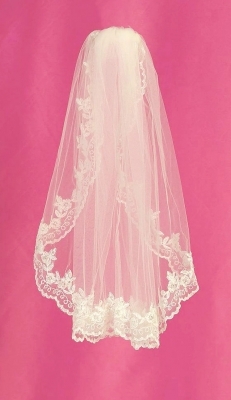 The veil is attached to a bridal comb to secure into hair. 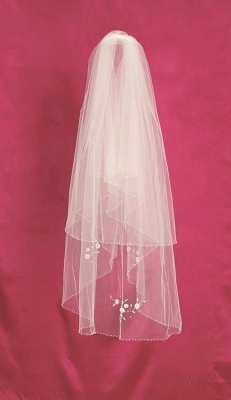 The item measures 39 inches x 58 inches. 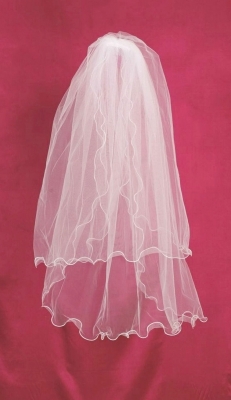 For sanitary reasons, these are sold as Final Sale.